It's really happening! 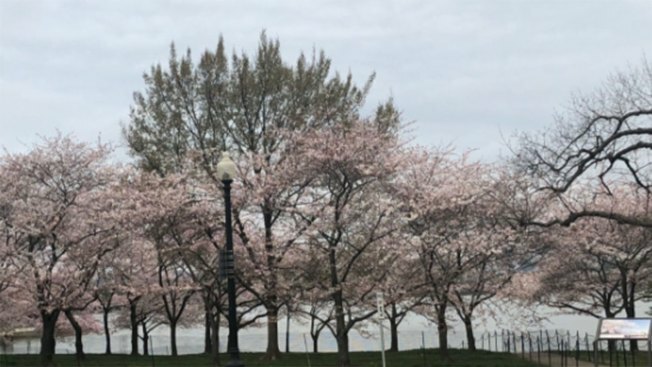 D.C.'s cherry blossoms have begun to bloom, and their expected peak bloom dates have been bumped up. The National Park Service posted Tuesday morning that peak bloom is now expected from Thursday through Sunday. 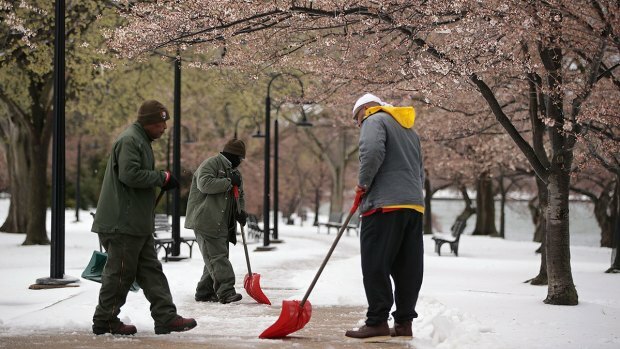 The news comes after the blossoms actually had their peak bloom date pushed back twice due to cold weather. The NPS said on Sunday that 20 percent of the Yoshino cherry trees were at full blossom and gave that figure again Tuesday. Peak bloom is defined as when at least 70 percent of the Yoshino trees around the Tidal Basin are blossoming. Once they reach peak bloom, the blossoms can remain on the trees from four to 10 days -- but the NPS is cautioning that this year's blooming period could be gone with the wind. "Keeping an eye on gusty winds tomorrow, enemy of the blossoms!" the agency tweeted. Temperatures won't be so cold that they could endanger the blossoms, but the wind will likely blow away some of them, Storm Team4 Meteorologist Amelia Draper said. The biggest risk comes to those blossoms that are further along in the blooming cycle. In other words, get out and see those blossoms as soon as you can.